The Office of Diversity, Equity, and Inclusion and the Women's and Gender Studies Program have partnered with the Center for Innovative Pedagogy to host an event series, "Transforming Digital Storytelling: How to Frame, Share, and Discuss Transgender Narratives." This event series is part of the Center for Innovative Pedagogy's Digital Storytelling Intiative, and we hope that you can join us for the second of this three part event series, featuring our guest digital storyteller from the National Center for Transgender Equality in Washington, D.C.! From award-winning productions, like the film "A Fantastic Woman" and the web series "Transparent," to self-told tales posted to social media, the stories of transgender people are spreading around the globe. At the same time, misinformation about trans identity is repeated both intentionally and unintentionally in the news, in entertainment, and online. 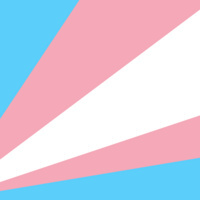 This workshop, lead by Rebecca Kling, the Education Program Director at the National Center for Transgender Equality, will explore how trans narratives can be told authentically, inclusively, and compellingly. Rebecca Kling (she/her/hers) is a Washington, D.C., based educator, community organizer, storyteller, and advocate for transgender rights. Since early 2016, Rebecca has worked with the National Center for Transgender Equality (NCTE), first as the community storytelling advocate and now as the education program director. Prior to joining NCTE, Rebecca worked as a touring educator and performance artist, exploring gender and identity through solo performance pieces and educational workshops. Her multidisciplinary performances incorporated conversational storytelling, personal narrative, humor and more. In 2013, Rebecca was named as part of the inaugural Trans 100, a list celebrating excellence in the transgender community. Funding for this event is provided by the Guest Digital Storyteller Fund Grant provided to the Center for Innovative Pedagogy by the Andrew W. Mellon Foundation.